ranidaphobia, which is the fear of frogs; or bufonophobia, which is the fear of toads. Many people would be alarmed to learn that there are frogs with ‘claws’ (more on this later), but this is fairly normal. Read on to learn more. range from 2 to over 5 inches in body length, with females being significantly larger than males. The tadpoles are fairly transparent with catfish-like whiskers. These frogs can live for 12-20 years in captivity. 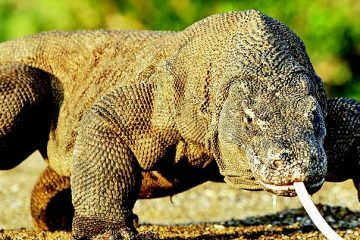 Their diet is mainly composed of fish, insects, and worms that can fit in their mouths and are swallowed whole. Interestingly, the African clawed frog also uses its arms to push prey inside their mouth or move the prey to a position that is easy for them to swallow. Can They Be Good Pets? 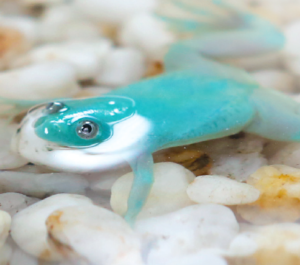 African clawed frogs make great pets and are easy to maintain in any aquarium. Adults have excellent immune systems and are very hardy. 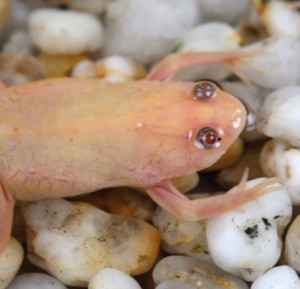 The African clawed frog secretes a horrible-tasting mucus on their skin to defend themselves from predators. It is also able to lay dormant for up to a year buried in mud with just a hole for air during the dry season which is unfavorable for them, especially for breeding. It remains a common pet frog readily available in pet stores, but with their lengthy life span, always make sure you are ready for a long term commitment in keeping this species. but later became a laboratory specimen used for scientific research during the 1940s, primarily as an animal for human pregnancy testing. Referred to as the ‘Hogben test’, a female African clawed frog lays eggs when injected in the hind leg with a pregnant woman’s urine. This is because the human chorionic gonadotropin in the urine (the ‘pregnancy hormone’) would stimulate ovulation in the frog. a therapeutic alternative to an orally administered antibiotic for treating mildly infected diabetic foot ulcers.” Pexiganan works by mimicking the functions of the innate immune system of the African clawed frog. Unfortunately, this progress has a price. 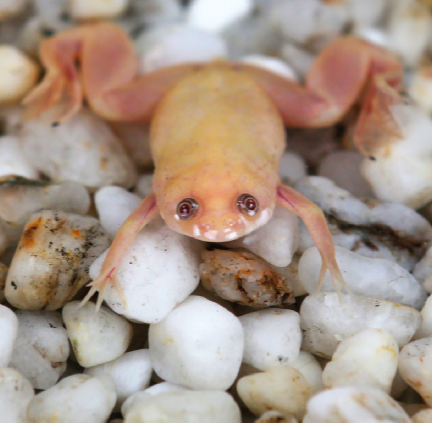 When new methods of pregnancy testing emerged, African clawed frog specimens were released in to the wild from the laboratories—and this resulted in it becoming a known invasive species in many parts of the globe. established their population in these places because of their adaptability, diet diversity, effective immune system with disease resistance, high reproductive rate, and long life span. As an invasive species, it poses a threat to the local fish species in the area; it also competes with other species such as local frogs and some predatory fish. They have no natural predators in the places they were introduced to, and no ecological role or niche in the ecosystem. to the local population of aquatic species in the areas they were introduced to. of frogs and toads across the globe. Chytridiomycosis has affected about 400 species of frogs and toads. Some species of frogs and toads have been brought to the brink of extinction because of this disease. without being affected themselves, so researchers suspect that they may be the original vectors that introduced the fungus around the world—a sort of revenge for being used as egg-laying research subjects for all those years. when introducing a foreign species. Thus, Animal Scene advises hobbyists and pet owners to be very careful and not to release foreign species irresponsibly. Keep your pets carefully, and enjoy them on their own merits; when you make the commitment to keep an African clawed frog, it’s for a lifetime. 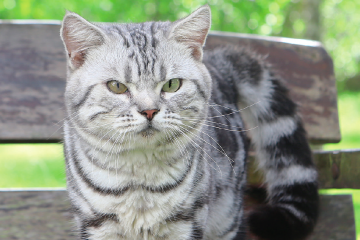 · The family Pipidae to which the African clawed frog belongs lacks a tongue and visible ear? · Male African clawed frogs lack vocal chords, which make them unable to make mating calls. · During mating, every time a male fertilizes an egg inside the female’s body the fertilized egg is released by the female almost immediately after mating. This appeared as “A Hardy Frog” in Animal Scene’s November 2015 issue.